This hotel is set in a central-yet-quiet area of the Costa Blanca resort of Benidorm, just a 15-minute walk from Poniente beach. Castilla hotel is located only 500 metres from Levante beach, in a tranquil setting near to the centre of Benidorm, on the Costa Blanca, in the Valencia region. Benidorm hotel boasts a privileged position in an exclusive residential area known as Ã¢â‚¬Å“the city gardenÃ¢â‚¬Â, situated within easy reach of Levante beach and walking distance of theme parks. This modern hotel is set only 800 metres from BenidormÃ¢â‚¬â„¢s sandy Poniente beach, in a quiet area just 5 minutes from the resortÃ¢â‚¬â„¢s commercial centre. . Ideal for a beach holiday on the Costa Blanca, this family-friendly hotel looks out over the golden sands of BenidormÃ¢â‚¬â„¢s Poniente Beach in the heart of the resort. Ideal for an enjoyable beach break in the sun, this modern holiday hotel lies just a 250-metre walk from BenidormÃ¢â‚¬â„¢s famous Levante Beach. Located just a short walk from the beach, this modern and practical apartment complex boasts an outdoor swimming pool and is the perfect place for a family holiday in the sunshine. Just 400 m from golden beaches, this smart hotel has 2 pools, a tennis court and a fantastic buffet restaurant Ã¢â‚¬â€œ relax on the sunny terrace with a drink from the bar. 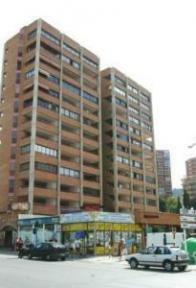 The hotel is located at a short distance from down town Benidorm and 350 metres from Poniente Beach and Elche Park. All rooms were renovated in 2003 and most include a terrace. Located just 30 m from the Poniente beach and with fantastic views over BenidormÃ‚Â´s beach bay, this hotel has a large sunny terrace and a buffet restaurant . This over 16s hotel located in Benidorm, one of the worldÃ‚Â´s most popular resorts, includes a range of facilities to help you enjoy a relaxing holiday in the sun. Hotel Deloix in levante area of benidorm inaugurated in summer 2005, the 4 Star Hotel Deloix Aqua Center is with no doubt among the most innovative and best equipped in Benidorm, with avant-garde facilities that easily tempt a try! Belroy Hotel Complex is set 50 metres from the lively Levante Beach Benidorm, just minutes from the city centre, and offers facilities such as free Wi-Fi and 2 swimming pools. 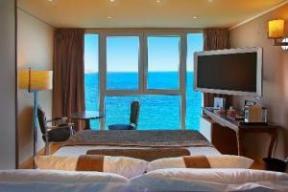 Metres from the Benidorm beach sits the Hotel Boutique Villa Venecia, a luxury hotel with an outdoor swimming pool, excellent spa services and spectacular views of the Mediterranean Sea. 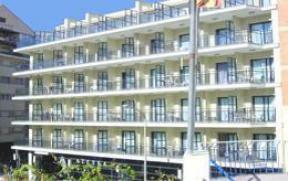 benidorm Hotel situated in a tranquil location of Benidorm, the Princesa hotel is just a few minutes from the beach and Benidorm town centre. Spend the day in the hotel relaxing on the sun terrace next to the hotel swimming pool.